The power of two natural forces — water and air — for your beauty! lets you get rid of stains, freckles, stretch marks, cicatrix and scars. And which is at the same time enjoyable and natural? It is a non-invasive skin treatment method based on the use of a special device. A fast flow of a liquid and oxygen acts on your face. The effect is immediate! Your face is refreshed and brightened, your skin is clean and smooth, your complexion is healthy and even. Contact us at 8 800 700-72-87 to book a free consultation and get advice from a professional beautician concerning care for your face or place your request. It restores your natural beauty. Natural, ecologically sound and absolutely safe substances — water and air — are used during the treatment instead of chemicals! The procedure is painless and even pleasant. No injections or discomfort, no numbing cream as for some other kinds of treatment… The tip of the device does not even touch your skin: the treatment is non-contact! Provides an instant effect. You do not have to recover after the procedure. You do not have to wait for a month until the effect can be seen. You will not experience any face redness, burns or a tired look. 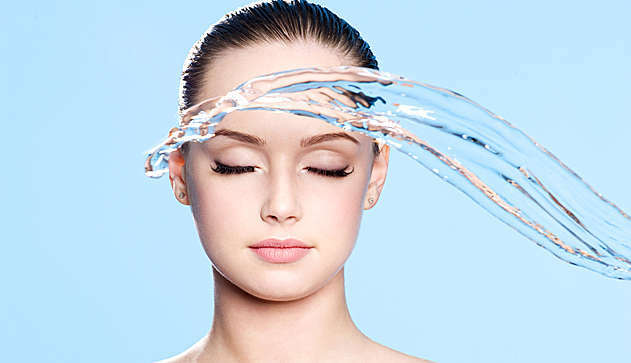 … Quite the opposite, you will look refreshed and pretty immediately! Suitable for you. You can have gas-liquid facial peeling performed at any age. It helps young girls to get rid of acne; provides deep cleansing and even complexion for young women; and smoothes wrinkles for middle-aged ladies. By the way, men also often have this treatment performed and are happy with the results. The effect lasts for up to 6 months. If you complete the course, the effect will persist for 4 – 6 months! Why is it recommended that you have gas-liquid peeling performed at LIPSCLINIC? Firstly, we at our clinic use Jet Peel, an advanced device. Cosmetology experts have recognized it as the best solution for performing gas-liquid peeling, though there is a great number of cheaper and simpler competing appliances available… Jet peel gas-liquid peeling is distinguished by unique parameters of the water and oxygen jet, its ability to resurface your skin and penetrate into deeper skin layers. Secondly, LIPSCLINIC is the most honest clinic in Moscow. We show you all diplomas and certificates of our beauticians, appliances and preparations. We long to win your trust. Therefore we offer free consultations to give advice on facial skin care specifically for you. We recommend the number of treatment sessions which will be the most efficient with the lowest possible money and time expenditures. You can read our satisfied customers’ reviews! Express Jet Peel Peeling 1800 20 min. Superficial peeling Jet Peel 2900 40 min. Peeling – massage Jet Peel 3600 40 min. (Enzyme Peeling+JET PEEL+mask the problem) 4500 60 min. The price of a treatment session at our clinic is 3000 rubles. The exact number of treatment sessions is determined by the doctor after a detailed individual consultation. Beware of lower prices! A low price means that the quality of the device is low or the clinic or beauticians do not have the required certificates. Take care! Contact us at 8 800 700-72-87 to book a free consultation, find out the exact price of the procedure and get professional advice of a beautician concerning facial care. You can also place your request.